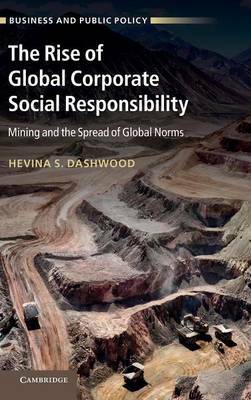 Combining insights from international relations theory with institutional approaches from organization theory and public policy, this book provides a complete explanation for the adoption of corporate social responsibility (CSR), showing how global norms influenced CSR adoption in the mining industry. Global normative developments have clearly had an important influence on major mining companies: by the mid-2000s, the majority had adopted sustainable development as a normative frame for their CSR policies and practices. However, there is significant variation between firms in terms of the timing, degree of commitment, and the willingness to assume a leadership role in promoting global standards for the mining industry. The author finds that attributes internal to the firm, including the critical role of leadership, and the way in which management responds to the institutional context and operational challenges faced in different countries are important influences on CSR adoption and important factors explaining variation.